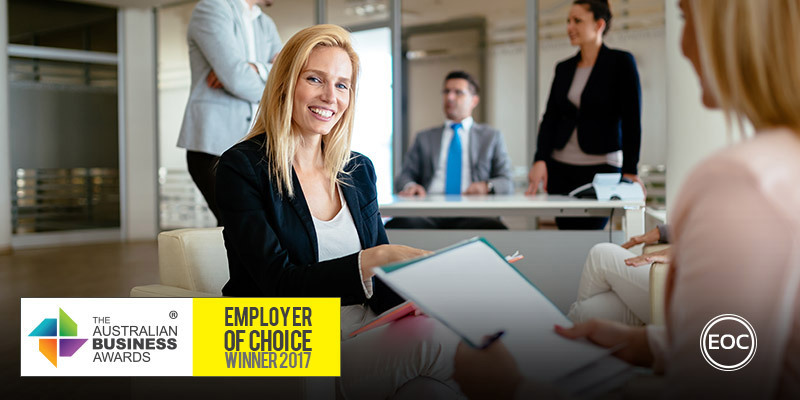 InfoTrack has been recognised as an Employer of Choice in The Australian Business Awards 2017. InfoTrack is a market-leading technology company that provides efficient solutions for clients to access and manage data related to properties, companies and people. Their technology helps transform the way people connect, communicate and access information. The InfoTrack platform can be integrated into existing software, allowing information to flow seamlessly between systems to provide an uninterrupted workflow and eliminate re-keying of data. This allows their clients to use one system for all tasks instead of navigating between multiple websites to obtain their information. The company are growing at a rate of 120 clients per month as they continue to expand their product offerings and break into new markets. They currently service over 7,000 clients across Australia in the legal, conveyancing, banking, finance, insolvency, surveying, mercantile, accountancy and government sectors. This year, they are venturing into the B2C market and have launched an innovation team dedicated to blue-sky thinking to design products for the consumer market. Aimed at ensuring that InfoTrack continues to create disruptive technology and stay ahead of the competition. InfoTrack have four offices across Australia in Sydney, Brisbane, Perth and Melbourne. They employ 271 staff working in various positions from product development, customer support, marketing, sales, finance, human resources, administration and IT. As a tech company, they foster an environment that encourages creativity and development. They function as a team and are quick to celebrate each other’s successes. The organisation strives to utilise the vast expertise and talent within their workforce to their full potential. They recently engaged a leadership consultant to facilitate a leadership workshop that included formal training on leadership theories, frameworks and their practical applications. The organisation has an allocated training budget in each department for internal and external seminars and training courses to assist their teams with their professional and personal development. InfoTrack’s in-house leadership program helps to further develop leadership skills within the organisation. Study leave is also provided to undertake further education courses relevant to organisation’s business needs. An internal management program has also been introduced to nurture and develop their management team. Training sessions on topics such as Communication, Time Management, Performance Management, Leadership, Personal Brand, Confidence and Presentation Skills are conducted on a quarterly basis. Working at InfoTrack is fast-paced, innovative and rewarding. Founded on the ethos that a happy staff member equates to a happy client, they provide chill-out rooms with x-boxes to innovation rooms for brainstorming to providing breakfast, snacks, the InfoTrack coffee shop, gym memberships, regular social events, spot awards and arcade games.